…Harveys made a wallet just for you! For straight-up Harveys Seatbelt Bag Fans, here’s a wallet made just for you. For fans of all Disney Characters, Good and Bad, well, this one’s for you, too. We can’t say “No” to anything Harveys. Bags and Accessories made out of seatbelts are just fun and funky and clever. 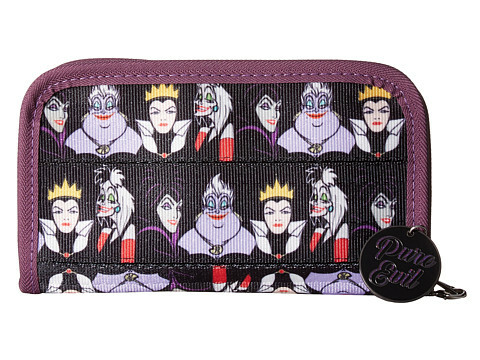 And this Disney Villains Wallet by Harveys is calling our name right this second! Fan of all things Disney Villains? Check out our Disney Villains Party Planning Guide!